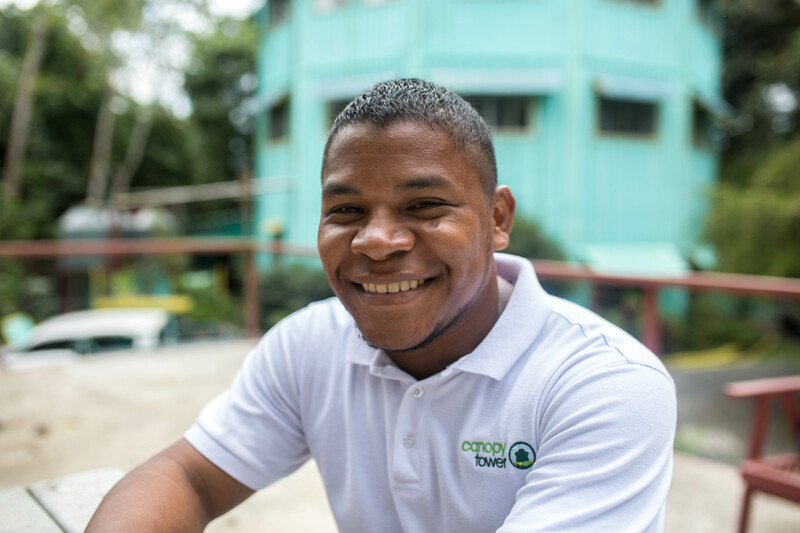 Jorge was born in 1990 and grew up near Colon close to the banks of the Chagres River, where he enjoyed the tranquil life of the Caribbean side of Panama. He graduated as a construction technician in 2008. He started to work at the Canopy Tower in 2012, where he took on a variety of tasks around the Tower including maintenance, waiter and housekeeping, to name a few. In 2015, Jorge took on the lead position in the Canopy B&B, to which he was dedicated for 2 years. 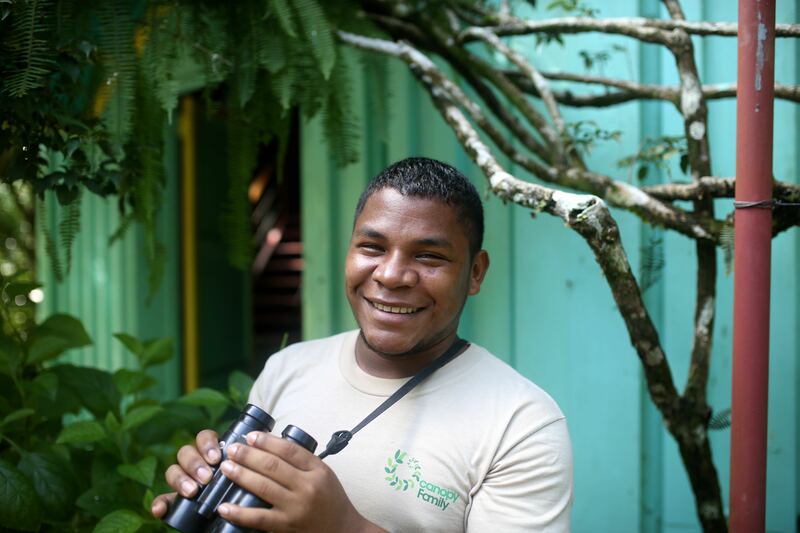 Over the years, Jorge showed an interest in learning English and was a natural at learning the birds and wildlife around the Canopy Tower and Canopy B&B, and enjoyed showing the guests. He joined the Canopy Family guiding team in 2017 and since has become a favorite among our guests for his calm nature, patience and enthusiasm in the field.